NO. 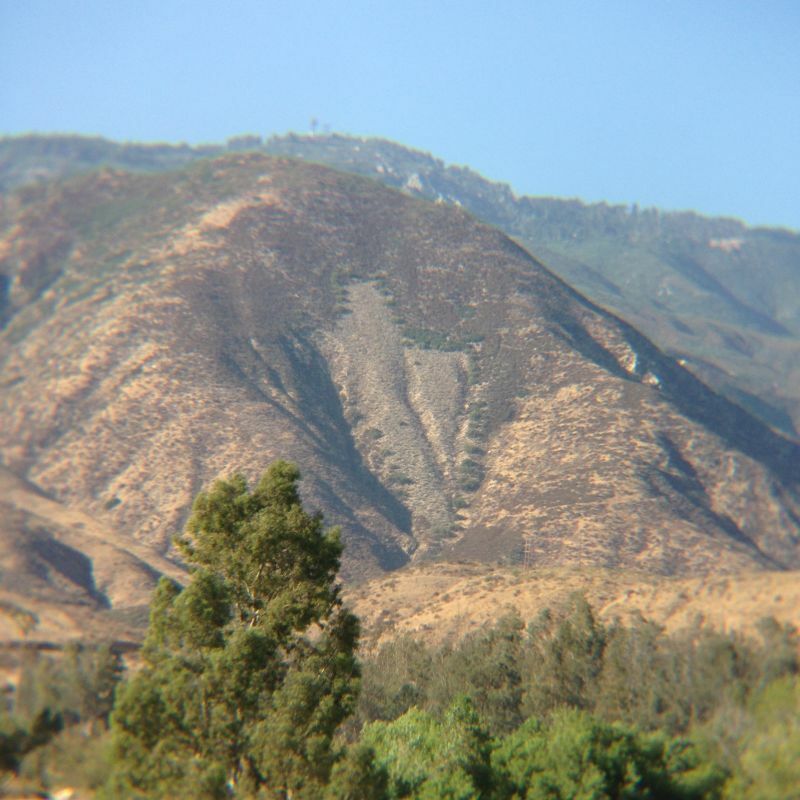 977 THE ARROWHEAD - Located in the foothills of the San Bernardino Mountains directly above the City of San Bernardino, the arrowhead landmark can be seen for miles around. 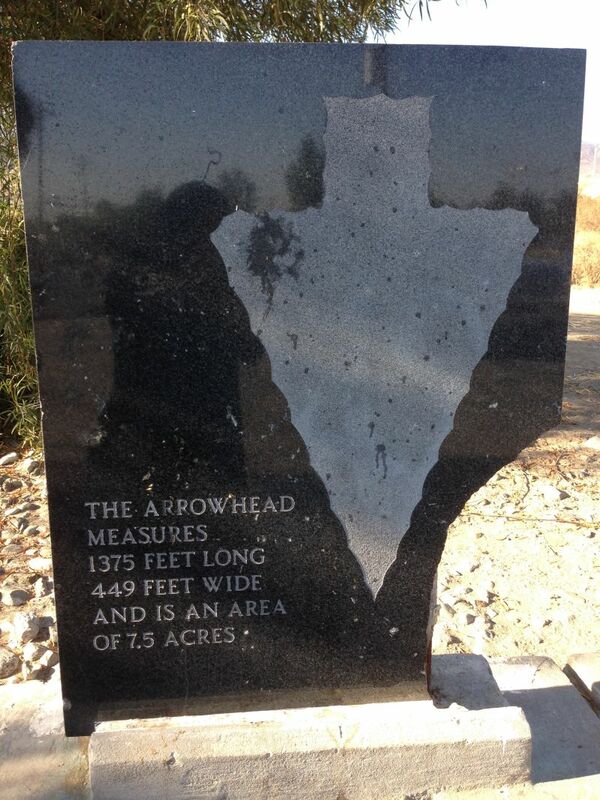 This important landmark has for centuries been a symbol of the San Bernardino Valley to the Native Indians and then to the pioneers and settlers that followed. It is believed to be a natural landmark. The face of the arrowhead consists of light quartz, supporting a growth of short white sage. This lighter vegetation shows in sharp contrast to the surrounding chaparral and greasewood. 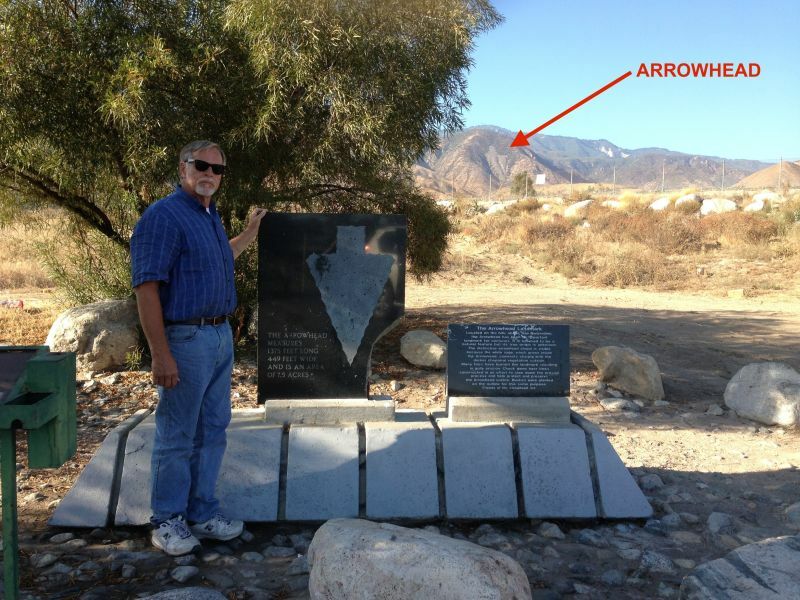 Indians who inhabited the San Bernardino Valley believed that the arrowhead pointed the way to the hot mineral springs below, with healing qualities, and thus considered it holy ground. Through the years, numerous forest fires have caused some erosion. 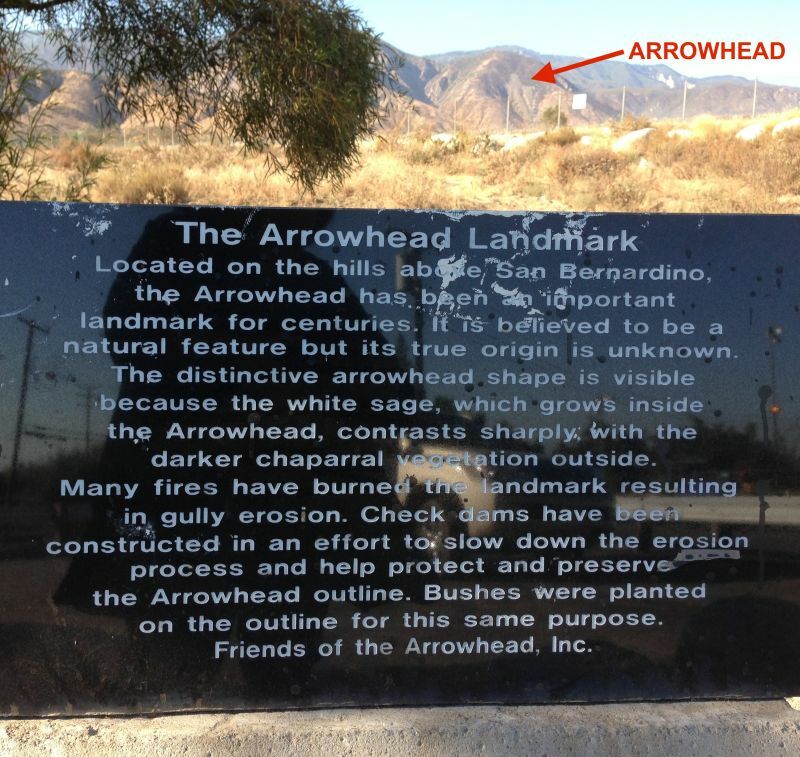 But the arrowhead landmark continues to preserve its uniqueness and remains a symbol of the 'pioneer spirit' of the San Bernardino Valley.